Less than two weeks separate Egypt from the third and final part of the political roadmap put in place after the ouster of Mohamed Morsi in 2013: parliamentary elections. The elections will be the third parliamentary vote since 2010; the first took place just two months before the 2011 revolution, in November 2010, while the second vote took place in the winter of 2011/2012. 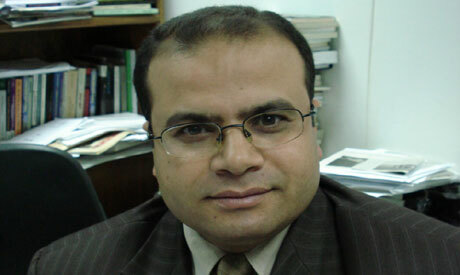 Ahram Online spoke to an expert on public opinion who is a researcher at Al-Ahram Centre for Political and Strategic Studies, Sobhi Eseila, to discuss the preliminary indications of what the 2015 parliament will look like and how Egyptians are expected to react to it. Ahram Online: How do you see Egyptians reacting to the upcoming parliamentary elections? Sobhi Eseila: We will witness a decrease in the public's level of attention compared with the 2011-2012 elections. The political scene now is more stable and the people are feeling more satisfied. The fact that we don’t have the same controversy we had during the last parliament has lessened the people's interest in the upcoming elections. Yet comparing the Egyptians' interest in participation in the era before the 25 January revolution, we will find participation is high due to the public’s feeling of responsibility for participation in political life, especially in the elections. Nevertheless, the people’s participation in the presidential elections [in 2014] will definitely be much higher than the parliamentary ones. AO: What is the reason behind the decrease in interest in participation? SE: The delay in the elections and not having a clear timetable for them definitely had an effect, but the main reason is the existence of a stable political scene following the presidential elections. So Egyptians right now feel that the state exists because of the presence of an elected president, thus they are not that interested in the parliamentary elections. I believe that wouldn’t have been the case if we had had the parliamentary elections before the presidential vote. Also, the negative coverage of the elections by the Egyptian media is creating a state of apathy. AO: How genuine is the current administration's attempts to produce real political life? Does it recognise the crucial role played by the parliament? SE: The Egyptian president is the only one who will benefit from the formulation of a parliament because he has been carrying more burdens [without an elected parliament] than he can bear. It is not an advantage to hold legislative powers along with executive ones [as President El-Sisi does in the absence of parliament]. Powers given to this parliament mean that it bears part of the responsibility, along with the president. Much of the criticism that was directed at El-Sisi in the first place should have been going to the parliament. The president is very keen on the parliamentary elections. He knows very well that no country as "big" as Egypt could function without a parliament. It was all a matter of timing. AO: When we have a parliament with the unprecedented powers given in the constitution, will we expect conflicts between parliament and the president? Could that paralyse political life in the near future? Or lead to a short-term parliament? SE: Theoretically this could easily happen with the new 2014 election articles of the constitution. However, we have an extremely low possibility of having a parliament that opposes the president. I am speaking theoretically but we know that in real life this will not happen. Laws in the current constitution protect political life from allowing the president to build a dictatorship, but it may lead to conflicts between the two powers. Egypt cannot bear more conflicts of this sort. We have witnessed such conflicts between powers in France, yet France could bear the conflicts while Egypt at this moment just can’t. AO: With the preliminary indicators and the names that we heard running in the elections, what do you think will be the composition of the parliament, in terms of Copts, women, leftists, businessmen, Islamists etc? SE: The upcoming parliament will feature all the factions that you just mentioned, but speaking about the dominant sector, we can't say that they will be businessmen, but I can fairly say they will be candidates supported by businessmen. We will have a network of interests, so let's say we will have around 10 businessmen supporting political parties and independent candidates, or as people say, "buying candidates." These well-known tycoons are not running in the elections but we will be witnessing their active hands inside parliament. So we will be having the main political parties backed by businessmen. Those businessmen could be Brotherhood supporters, liberals, or former members of the Mubarak's National Democratic Party (NDP). So the businessmen will be dominating to a large extent inside the parliament, and we will unavoidably have candidates affiliated with the NDP; not well-known figures but candidates who used to run in parliamentary elections for interests. Yet I strongly believe that no single particular political party will dominate. If everyone was represented and made it to the 2015 parliament we will have a good experience. I wish that the Islamists could get a 20 percent quota of the parliament. The people have to see that the parliament is a real image of their lives. AO: What will be the role of the upcoming parliament with its new "unprecedented powers" and with the indicators of the figures running? AO: Speaking about representatives of businessmen, do you believe that if they opposed the Egyptian president on particular issues, this will have an effects on the lives of ordinary Egyptians? SE: This is possible if conflicts between the parliamentarians and the president occur on issues that are related to the public, and definitely this conflict will have an effect on Egyptians. But we know most of the candidates running in this parliament are biased towards the Egyptian president and thus towards any of his decisions. So I don’t believe we will be having those big conflicts. We might experience some minor differences in opinions. AO: Will the state apparatus in its all forms have any influence on the upcoming elections, or on the parliament after it is elected? SE: This needs to be based on information that I know that yes, there are some interventions. Definitely the state has a vision. The question here is whether or not the state does this intervention "legally." I don’t have definite information about this but people talk about it. It is impossible that the political scene be in the formation process and the apparatus doesn't have any hands in it. It is possible that their intervention could lead to problems and their choices would be not in place. We always get this kind of coordination of which list should be running in what areas and so on this has always been the political scene in Egypt. AO: Are you with or against what is known as “the list of the president”; in other words having the president support a party list, or individual candidates? SE: I personally do not support the idea of having a list that the president supports, because I believe that this would be a blatant interference by the state in the parliament. The state may have expectations about the composition of the parliament, but if they are not met, they must still deal with the parliament. But having a particular list, candidates, or party backed by the state or the president will not be a good experience for us again. Already some candidates and parties have decided to boycott the elections after previously announcing that they would run, because they felt that there would be one particular electoral list that will be backed by the government. This will create the same atmosphere as that of the 2010 elections, in which the NDP were the sole player. What the state needs right now is to play the game nicely so that everyone can have a share in the parliament. The state needs to let the people believe that there will be real elections. The vision should be to build the trust of Egyptian citizens, not only in the upcoming elections but also in all future elections. In fact, everyone denies that we have this kind of list running in the upcoming parliament. If this were to occur, and the people believed it, we would be back to the era before the January 25 revolution.